After happening across Nightrage a couple years back by pure accident after finding a review of their album, Insidious, I have since trawled through their back catalogue and loved every album. I was extremely excited when they announced The Puritan and as a measure of that, paid for a t-shirt, signed picture and album preorder in January and then impatiently waited until the end of April for the release. Was it worth the wait? 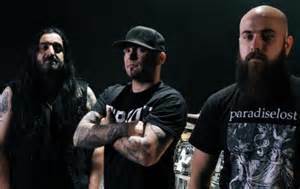 A lot has happened for the band since their last release with a tweaked line up, new tour booking agents and a new label, Despotz Records. Vocals are now looked after by Ronnie Nyman and he is a great addition to the band, seamlessly replacing the excellent vocals of Antony Hamalainan. Johan Nunez on drums has also moved on and is replaced for this album by Marcus Rosell. 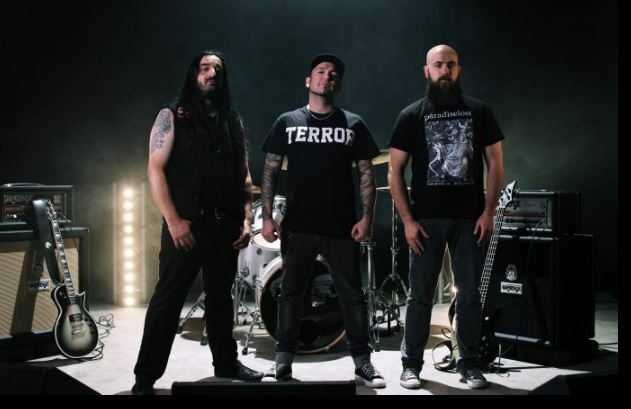 The great news though is that the guys that now make up Nightrage in Marios IIiopoulos, Anders Hammer and Ronnie Nyman are deadly serious in their belief in this band and are not seeing it as a side project. That has been felt also in a very strong and, hopefully, successful marketing push from their team at Despotz. 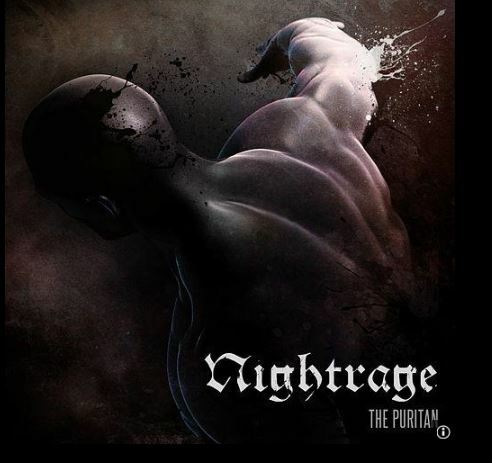 The Puritan was described in a press release as “an uncompromising, eerie, dramatic and melodic death metal journey it its purest essence” and that is about as accurate a description as you will ever get. With 11 songs on the album weighing in at a reasonably short 38 minutes, Nightrage are back with ferocious aplomb. The first track on the album is the title track, The Puritan and is one of the longest songs on the album being just over 4 minutes long. It really sets the tone for the whole album in its unrelenting tempo and death metal screams. The riff is as catchy as you would expect and the melody is added through guitar hooks rather than sudden stops in pace and slow singing. If you listen to the guitar twisting and turning its way through the song, you will be mesmerised by the talent on show. The chorus is shouted but as catchy as can be and there is a fantastic drum, bass and riff section to headbang along to until the end. Track two, With the Blade of a Knife, continues on the relentless assault with a frantic start. The vocals are a deeper growl at the start but it quickly becomes apparent that Ronnie Nyman has a huge range as he switches depending on what the song requires. An excellent scales type of riff bridges verses to chorus but throughout the whole track the pace and intensity never lets up and while short at less than 3 minutes long, it is due to the speed they play it at. Another band may have taken 5 minutes to play this many notes in a track. Very good track but not quite as hard hitting as the first. Desperate Vows is next and is amazing. The intro riff will hook you immediately and continues to worm its way into your mind days after listening. The chorus sees extra vocals added by Darkane vocalist Lawrence Mackrory so you get singing along with the growls and it works brilliantly. The first slow section comes near the end of this song in the form of a guitar solo which eventually builds back up to the pace of the chorus before it ends with a slow acoustic fade out. Excellent. Endless Night is up next and has a slower crunching riff as an intro. The drums sound particularly thumping in this intro and as vocals join, the song falls into a rhythmic riff and drum pattern that had me nodding my head along without realising it. Melodic lead guitars lead through the chorus over a higher toned shout from the vocals before it breaks back down to the verse and that rhythm again. The guitar solo in this song is played at pace over loud crashing drums and is a real highlight of the album so far. It ends with a really fast screams and guitar section that suddenly stops and transforms into an eerie acoustic until the end. Foul Vile Life is the fifth track on the album and ups the pace again. Another catchy riff from these masters of riff creation along with a catchy chorus and excellent fast paced guitar solo make this a short but intense masterpiece. The chorus is great for shouting along to but this song is made for banging your head to. Like much of the album, there are no frills here. No effects and no messing about. This is just a great metal song. Stare into Infinity is next and starts off with a mid tempo riff but pure thrash paced drums. The vocals are delivered in a dark and deep rhythmic growl that jumps about in range all over the track. Typical but catchy lead guitars provide the pacy melody during the chorus but while the song as a whole is very good, it is the vocal range that really stands out and impresses on this track. Lone Lake is the only respite you get on this relentless album and is a 2 minute long acoustic instrumental. It is played well and sounds really nice but it is what it is, a breather. When Son of Sorrow kicks in next though Nightrage sound like they are trying to make up for the loss of pace with a brutal start to this track. The drums are like rolling thunder and the vocals sound like pure death metal. This continues for a while before a sudden 5 second long slow down. Just as quick as that slow down happened though, the song explodes back into life again even faster than before as vocals rise in pitch as well. A brief and fast solo breaks the rhythm up before the pure aggression takes back over through to the end which comes with a drawn out scream. This is my favourite track so far on the album. When Gold Turns to Rust is the 9th track and is brilliant using a low toned riff that ends with a high pitched guitar squeal through the verses. The drumming sounds like a frantic marching beat that breaks into the most perfect melodic leads over riffs in the chorus. A brief guitar solo before the pace quickens even more and the speedy rhythm plays through to close. My newest favourite track. Fathomless is the 10th track on the album and starts off with melodic lead guitars really at the forefront. Screamed vocals join in as the riff rises and falls in pitch and pace. The drums are more steady in the early part of the track just banging out a catchy rhtyhm and the bass is very prominent. As the track progresses little blast sections of drumming add more intensity and vocals get louder and angrier before a sudden drop in acoustic that leads into the slow tempo solo that itself leads into a distorted solo and then back into the heavier pace to end. The album closes much as it started, with ferocious intensity. The Kiss of a Sycophant is unrelenting and the vocals are spat out at pace along with a twisting and turning riff. Drums and bass move the track along quickly with frantic thumps. The chorus is a little slower and more rythmic and very catchy. The whole song oozes crunching riffs and melodic leads all played at pace and is the perfect advertisement for what Nightrage are doing. A great track that closes off a brief but very impressive effort. While many people, me included, spend time looking for new music that is a little different or stands out from the crowd, this album manages to be absolutely brilliant by not doing anything different. In fact it is the no frills approach to this album that makes it as good as it is. Nightrage are just pure metal and what they do here is play 11 very good metal tracks brilliantly. There are brilliant riffs, great vocal ranges, solid lyrics, guitar solos, thumping bass and thunderous drums and although short, you don’t feel like you have been short changed at all. If you want some orchestral, keyboard effects doing something you have never heard before, look elsewhere but as much as that sort of music is needed to keep the genres fresh, you need solid foundations too and that is what you get with this album. Pure, brilliant, no frills metal!